A flower seller, traditionally sells flowers on the street. 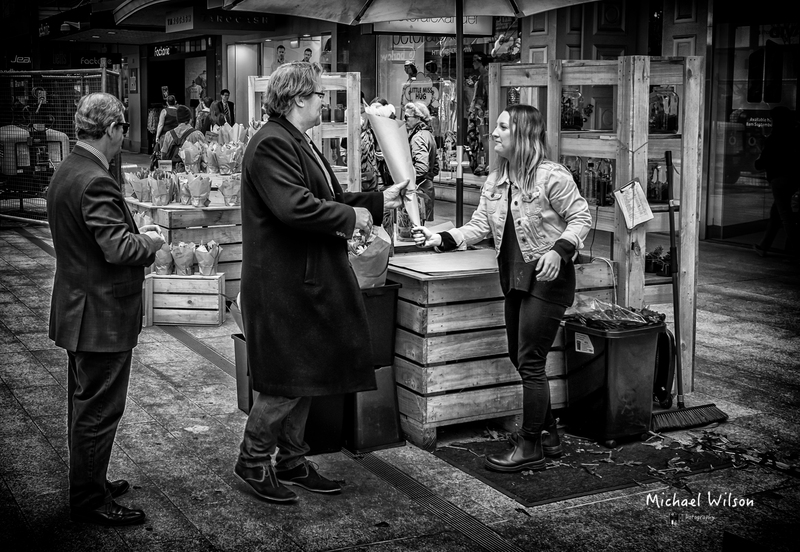 This entry was posted in Photography and tagged Adelaide, Adelaide Street Photography, City, Lightroom, Monochrome, People, Photography, Rundle mall, Silver FX Pro, South Australia, Street Photography. Bookmark the permalink. Can even hear their voices !